Green spider web chrocheted doily, 26.7". Crocheted doily with a brilliant green overflow. 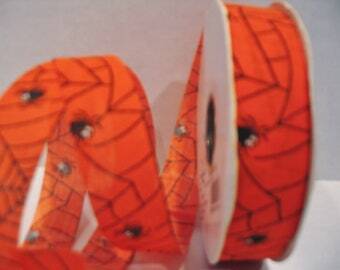 NEW Wired Halloween Spider, Skeleton & Bat Ribbon, HALLOWEEN RIBBON 2-1/2"